This appears to be a almost anything. 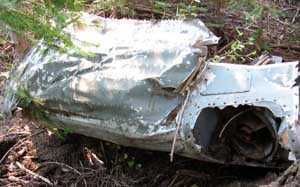 In its crushed condition it could be a wing tip, nacelle, cowling, exterior door, etc. 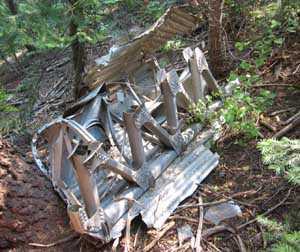 According to the crash report, this was described as a section of the leading edge of the left hand wing including the landing light between wing station 19 and the outboard side of No. 1 nacelle. The top photo is the front of the wing while the bottom photo is the back side. 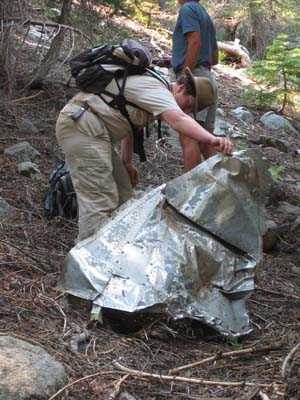 This piece was found about 75 yards to the northeast of the tail section.